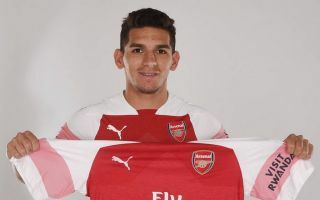 It’s been a busy summer transfer window 2018 for Arsenal and yesterday they announced their fourth and arguably their most significant signing of the summer with the capture of Uruguay defensive midfield Lucas Torreira. Previously, the club saw the signings of Bernd Leno, Stephan Lichtsteiner and Sokratis Papastathopoulos for new manager Unai Emery, as per BBC Sport and Sky Sports. Furthermore, the club have brought in young French midfielder Matteo Guendouzi has joined the club from Lorient as reported by the club’s official website. However, Torreira’s signing could be the most important as the club attempt to solve a problem in a particularly troublesome area of the pitch. Arsenal had the worst defence out of the top seven sides in the Premier League last season, conceding 51 times last season and made 15 errors leading to a goal, according to the official Premier League website. Therefore, Torreira looks ideal for Arsenal’s needs in the middle of the park to break up play and create quick transitions between defence and attack after a number of great displays for his former club Sampdoria and at this summer’s World Cup 2018. Here is what the Gunners can expect from their new man next season.